The company also mentioned numerous pending legal issues at various high courts, the Telecom Disputes Settlement & Appellate Tribunal (TDSAT), and the Supreme Court as a reason for impeding progress and approaching the NCLT. Shares of Reliance Communications (RCom) slumped 48% on Monday after the company decided to propose the debt resolution plan in the National Company Law Tribunal (NCLT) process. The company, which has ~Rs40,000cr debt, has reviewed the progress of the company’s debt resolution plans since the invocation of SDR on 2nd June 2017. "The Board noted that, despite the passage of over 18 months, lenders have received zero proceeds from the proposed asset monetization plans, and the overall debt resolution process is yet to make any headway," the company said in a press note on Sunday. Further, the company also mentioned the numerous pending legal issues at various high courts, the Telecom Disputes Settlement & Appellate Tribunal (TDSAT), and the Supreme Court as a reason for impeding progress and approaching the NCLT. "Recurring legal challenges by Department of Telecommunications (DoT) for spectrum monetisation and continuing litigation by other parties support the decision to opt for the NCLT resolution track," the company said. RCom said it has been "impossible" to achieve approval on the debt resolution matter despite having over 45 meetings with the lenders for over 12 months. 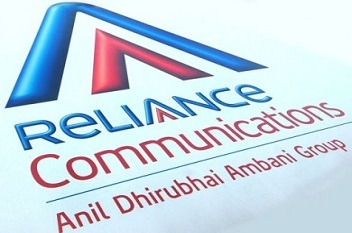 Reliance Communications Ltd's share price is currently at Rs7.26, down by Rs4.34 or 37.41%, from its previous close of Rs11.60 on the BSE. The scrip opened at Rs10.44 and has touched a high and low of Rs10.44 and Rs6, respectively. So far, 21,92,10,926 (NSE+BSE) shares have been traded on the counter. The current market cap of the company is Rs3,208.02cr.